The 1975’s positive outlook has found its reflection in the new music video for their single ‘Sincerity Is Scary’. We bet you’ve never seen frontman Matty Healy that bright and beaming. Be sure to watch it below! The feel-good clip starts with vocalist Matt Healy rising and shining. He then grabs his headphones and as he puts them on, the whole street around him turns into a harmonious dancing and singing microcosm. While the song lyrics are aimed at exposing people’s defense mechanisms, such as irony and cynicism, the video is all about choosing the brighter approach. The video for this 1975’s song closely follows the band’s previously released tracks,’ It’s Not Living (If It’s Not With You),’ ‘TOOTIMETOOTIMETOOTIME,’ ‘Love It If We Made It’ and ‘Give Yourself A Try’. The cheerful band’s upcoming album, A Brief Inquiry Into Online Relationships, is due out November 30. 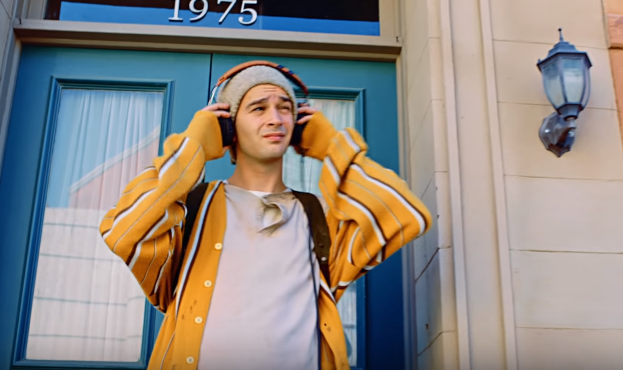 Do you like the 1975’s new video for ‘Sincerity Is Scary’? Which is your favorite new song so far? Be the first to leave your comments and stay tuned with AlteRock Facebook and Twitter to never miss on the news about your favorite alternative music!